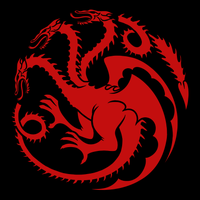 The moment everyone remembers is Daenerys Targaryen taking back her dragon. There’s a good reason for that: It’s one hell of a scene, a twist of delicious revenge that features Emilia Clarke doing some of her best work and the character really earning her title Mother Of Dragons. But before the fire-breathing retaliation against the slavers of Astapor, there’s a much smaller scene of deeply significant import. It’s when Dany first makes the deal to buy the Unsullied—arguably her most significant decision in all of Game Of Thrones, in terms of the long-term effects on the narrative. When she goes to meet the slaver Kraznys to acquire her army of 8,000 Unsullied (the castrated men trained from birth to be the ultimate fighting force), he laughs and mocks her in Valyrian, a tongue of which they believe she’s ignorant. But his lazy scorn disappears the moment she offers him a dragon. 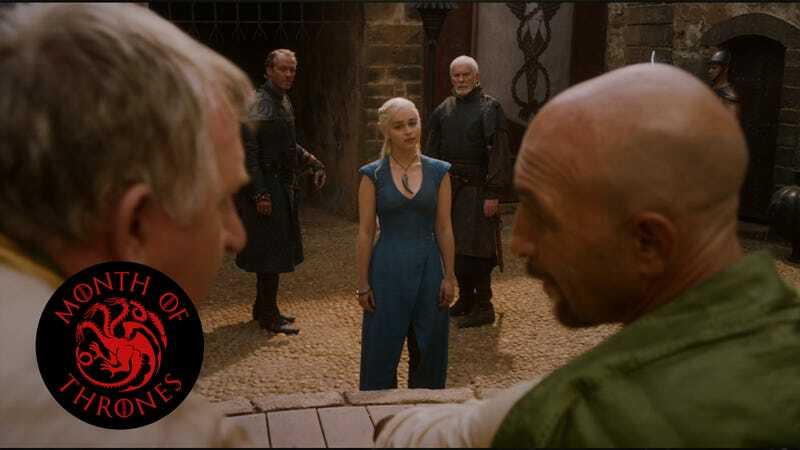 Her advisors, Jorah and Barristan Selmy, immediately try to warn her off this deal (“You will win this war with dragons, not slaves, your grace,” Barristan counsels), but her only response to them is a stern rebuke to never question her in front of strangers. Instead, she agrees to hand over her largest beast, Drogon, in exchange for the warriors—and receives the present of Missandei in the bargain. This is some of the best evidence yet for why she would make an excellent queen: strategic planning. She knew what was to come, and how to turn it to her advantage, while making a very public display of her intentions as ruler, thereby attracting even more to her banner without any need to purchase them. You could argue she should’ve let her advisors in on the plan, but then again, Dany has demonstrated repeatedly that she enjoys having an audience. And proving to them, perhaps once and for all, why she’s worthy of the throne of Westeros. Tyrion is assigned to his new role as Master Of Coin by his recently returned father, who has assumed the job of the Hand (in a scene that’s also one of the best moments of comedy in the entire series); Jon Snow is dragged with Mance Rayder and his invading force from the North towards the Wall, and a display of vivisected horses reminds them all what’s hunting them; Sam ends up back at Craster’s keep, where he sees Gilly give birth, starting the wheels turning in his head; Theon escapes his imprisonment with the help of a mysterious man who will soon be revealed as Ramsay Bolton, anything but a friend to the Frey; Arya bids farewell to Hot Pie as he takes up a job at the Inn they stop at, while she continues her journey with The Hound; Podrick gets laid, and Tyrion and Bronn want the details; and after being captured by yet another band of men loyal to House Bolton, Jaime Lannister arranges to save Brienne from being raped by them. Of course, it doesn’t save him from getting his hand severed by Roose Bolton’s “best hunter,” Locke. Previously: Bran, Rickon, Hodor, and Osha meet the Reeds, and viewers meet the concept of the Three-Eyed Raven.